The tour begins from the Saariselkä Booking's receptions where it is also possible to rent mountain bikes. 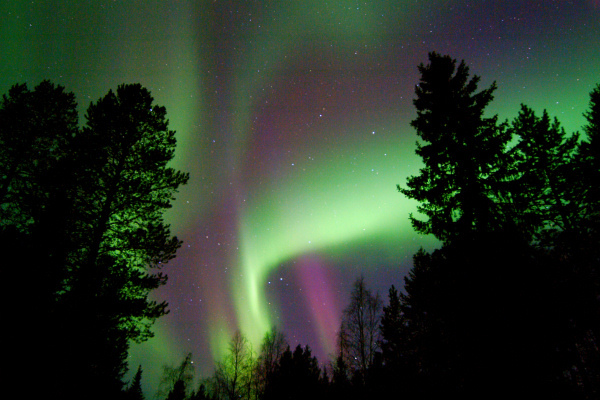 The winter cycling trail takes you away from the lights of the village so that it is easier to see the aurora. Along the trail we will have a short break and drink some warm juice. Even if there are no auroras, cycling in the dark forest under the starry sky is a magical experience. The speed and track is chosen according to the skills of the group and the trail can be modified even during the tour.